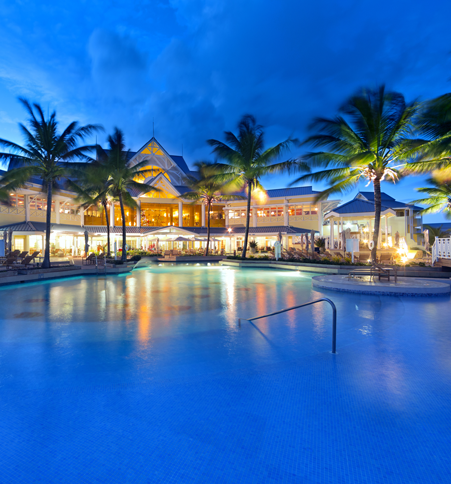 For an all-inclusive stay in one of the Caribbean’s most appealing islands, the Magdalena Grand ticks all the boxes. And if your clients are golfers, it’s perfect. The resort offers all the benefits traditionally associated with an all-inclusive, food pretty much all day and all drinks included. And for time away, it’s easy to organise trips out to see the island’s stunning rainforest and secluded beaches. THE BACKGROUND: Tobago’s largest resort hotel offers 200 rooms and suites, all with a terrace or balcony overlooking the island’s Atlantic coast. It was fully modernised in 2012. THE LOCATION: Just a short transfer from the airport, on the Tobago Plantations Resort which includes a PGA-designed 18-hole golf course as well as many beautiful private houses, both of which make for delightful features if you take a stroll or cycle ride around the grounds. Bikes can be hired free of charge. THE ROOM: Spacious, with king-sized beds and all amenities such as TV, mini-bar, tea/coffee-making items and a balcony overlooking one of the resort’s three swimming pools. The en-suite bathroom had both a walk-in shower and bath. It’s worth booking a south side room where your clients might be lucky enough to see nesting turtles. KEY FACILITIES: As well as the golf course, there are three restaurants, a pub, lounge, café, gym, extensive spa, art gallery, shops and swim-up bar in the main swimming pool complex. Two ‘satellite’ pools at either end of the crescent-shaped complex complete the amenities. A free shuttle operates to nearby Pigeon Point on the Caribbean coast. RATES: £1799 for seven nights’ all-inclusive including Virgin flights from LGW based on a September 8 departure. This was a highly comfortable and cosy stay in a building with plenty of history. The term ‘home from home’ is overused but I could imagine spending an extended stay here. Its location, on a cobblestone street, feels like a step back in time, and I liked the mix of ‘historic’ London and all mod cons. Its location – makes it a great choice for those looking for an alternative to a city hotel. THE BACKGROUND: This 75-key apartment-style property, which opened last summer, occupies a converted Victorian tea warehouse. Features include exposed brick walls and arched factory windows. THE ROOM: I stayed in a premium studio, a larger room that was stylishly furnished, with a bright colour palette of vibrant blues, reds and yellows. It features a fully-equipped kitchen and other practical amenities included an iron and board, clotheshorse, hair dryer, and USB charging ports. The bathroom area was ultra-modern - all chrome, stainless steel with streamlined sinks and taps – and with a powerful shower. KEY FACILITIES: There’s no restaurant but there is a complimentary common area ‘pantry’ on the first floor, with items like pasta (in a jar), jams, fruits, popcorn, cereal, milk and coffee. Its location means there are plenty of bars and restaurants nearby. RATES: From £160 a night (plus VAT). There’s a real sense of timelessness at this Tudor-style hotel. But although on the National Register of Historic Places it offers all the comforts of a stylishly modern hotel – and has a buzzing pub and a top-notch restauramt to boot. The staff are excellent and the complimentary car transfer from the hotel to a train station now served by an Amtrak service from Washington D.C. was very welcome. THE BACKGROUND: This property dates all the way back to 1882 but after being closed for several years it reopened in 1993 and is now a Curio – A Collection by Hilton historic property with newly renovated guest rooms. 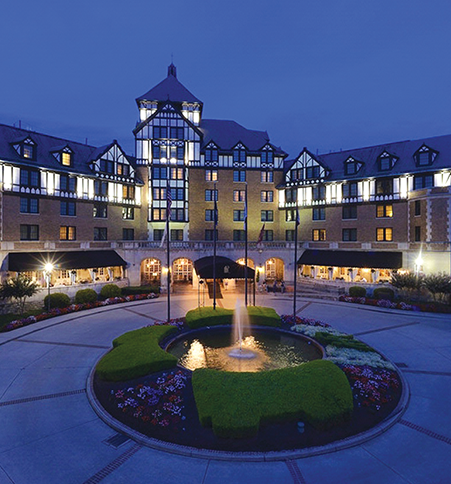 THE LOCATION: The stately-looking hotel is set in a former railroad town that is one of the main gateways to Virginia’s Blue Ridge, a mountain area with a growing range of outdoor activities like hiking, mountain biking and various watersports. THE ROOM: I stayed in a king bed deluxe corner room. Features included complimentary wifi, a large work desk, an oversized chair with ottoman, flat-screen TV and a generous-sized bathroom. Big windows looked out over the Roanoke Valley and the Appalachains beyond. KEY FACILITIES: The Pine Room Pub, with its good selection of grub, pool room and live music was lively. It was the night before a college American football game and the local Virginia Tech team and its supportes were in town. The Regency Room is a AAA Four Diamond restaurant serving Southern-style cusiine - like peanut soup and corn-fried oysters. For foodies and sightseers of all demographics this smart contemporary property is ideally located and well set up for a fuss- free city stay. The apartments are spacious and the public spaces have a warm and welcoming vibe. The views are great and the staff are friendly and helpful. THE BACKGROUND: Oaks Hotels & Resorts has 51 properties across key locations in Australia, and Oaks on Market is a 4.5-star serviced apartment tower offering 280 studios and apartments. 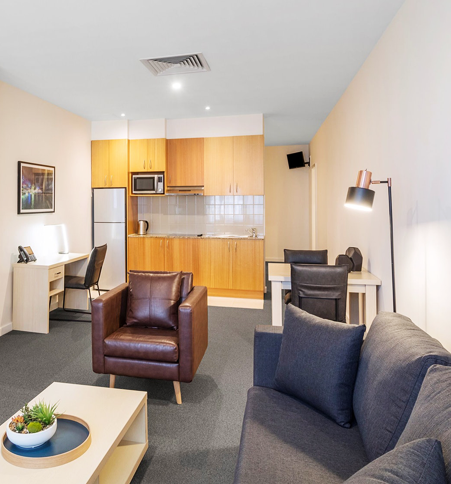 THE LOCATION: Located in the heart of the city close to some great restaurants, the Collins Street shops, the iconic Flinders Street Station and the tram network. THE ROOM: My spacious one-bedroom apartment with floor-to-ceiling windows had fantastic views. The apartment was modern and minimalist in style with an open living room (with huge TV). The kitchenette was well-equipped and the bedroom and en suite were both large. All rooms had air-conditioning. KEY FACILITIES: The reception area doubles as the social hub of the property, complete with contemporary furnishings and with an informal restaurant alongside. There was a small but well set up gym and lovely pool and sauna. 30 minutes’ free wifi a day is included. RESTAURANTS/BARS: The Oak & Vine restaurant within the central hub offered a wide selection of fresh seasonal dining options plus a good bar portfolio and daily happy hour. Room service was available. An ‘opt to go green’ no cleaning option earnt me a AUS$5 a day credit here. RATES: Prices start from around £100 a night. Perfect for a short stay in Birmingham for those who want to be self-sufficient. Staff were friendly and helpful and made me feel very welcome upon arrival. The location is within easy access of some of Birmingham’s main attractions and the room is both comfortable and stylish. THE BACKGROUND: Staycity has over 3,000 apartments across ten different cities in the UK, Ireland and France. Staycity Aparthotels in Birmingham’s Newhall Square has 142 one-bedroom and 24 two-bedroom apartments that can accommodate up to six people. 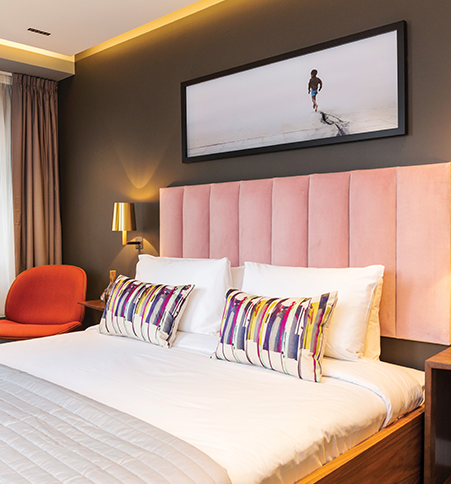 The brand has recently launched a sub-brand, Wilde Aparthotels by Staycity, which I’m keen to try after my experience. THE LOCATION: Situated in the city’s historical Jewellery Quarter, the property is less than a 10-minute walk from Birmingham city centre and New Street Train Station. As the hotel is in a busy area, street parking is not an option. There is limited space available in the on-site car park or, alternatively, a 24-hour NCP car park is just next door. Both options cost £12 per night. THE ROOM: My compact and modern one-bedroom apartment consisted of a living area with flat screen TV, a fully-equipped kitchen with hob, microwave, cooking utensils and dishwasher, plus a dining area, bedroom with king-size bed and bathroom. I was particularly impressed with the powerful and roomy shower. KEY FACILITIES: There is a fitness centre on-site along with a café – breakfast is available at an additional cost. There is free wifi access throughout the property. RESTAURANTS/BARS: There’s no restaurant on-site but Staycity Aparthotels is just a five-minute walk from the bars and restaurants of bustling Broad Street. A good experience, with friendly and attentive cabin crew. The seat was comfortable with sufficient legroom for tall passengers. The lack of entertainment onboard was a surprise, and the only major drawback to this admittedly budget flight. THE FLIGHT: Our Wow Air flight to Boston Logan, with a two-hour stopover in Keflavik, Iceland, was scheduled to leave from Gatwick South on Sunday 23 September at 11.40am. The first leg took three hours 15 minutes, and the second leg approximately six hours, landing on time. THE CHECK-IN: We left from Gatwick Airport South Terminal on a new A321, smart in Wow’s mauve/purple livery. The ground staff were very friendly and helpful, giving good advice on a last-minute visa problem and remaining calm throughout. We left from an easy-to-access gate, no 1, and after a short wait on the tarmac, we set off about 20 minutes after our allotted takeoff time. THE SEAT: The seats were three across on each side, with good elbow and legroom. We had booked Wow Plus, and were in 5A and 5B. Upfront there were two rows of two seats each side, in a Big Seat section that was not divided from the rest of the cabin. The ‘Wow me up’ service allows passengers to bid pre-flight for these seats and the extra legroom seats around the exits. THE SERVICE: The cabin crew were very smart in their mauve uniforms, which matched (almost) the purple and dark brown leather seats and discreetly patterned carpet in the cabin. After about half an hour, the drinks service trolley came around. We ordered two beers and two bottles of water, which came to an eye-watering US$18.57 - a timely warning of alcohol prices in Iceland itself. We had not pre-ordered food, but my neighbour had what looked like a well-cooked and presented scrambled egg with fresh tomato. A small selection of sandwiches, baguettes, pizza and Greek salad was available from the onboard menu, all at around US$10, plus soups, noodles, yogurt, porridge and snacks. There was no wifi onboard, no seatback screen, and no entertainment provided. The Wow Inflight Magazine, however, was a special ‘Art Issue’ and was well worth reading for its information on the Reykjavik underground art scene, as well as museums and galleries. THE SECOND LEG: We had a stopover of about two hours at Keflavik airport, which is clean and efficient, with lots of food and shopping outlets. The A321 took off at 4pm, 30 mins later than scheduled. This plane had three seats each side, with no Big Seat option. The seats had plenty of legroom and were quite comfortable, though a bit of skimping in the padding of the seat became noticeable after the first three hours. There was no wifi or entertainment, apart from iPads for rent at US$25, with a small selection of films and games. The lack of inflight entertainment was more noticeable on this longer leg of the journey and made it a rather boring flight. THE DETAILS: Wow Air flies from Gatwick to Boston via Reykjavik once or twice daily, with a total journey time of around 11 hours. Flights are from £150, but Wow Plus at £225 gets you checked bag and a cabin bag, and a better seat. This was a wonderful country house experience and the property has obviously been lovingly restored, with each common room offering a unique atmosphere and design. Mobile phone signal wasn’t great but that could be seen as a positive for those wanting a real rural escape. THE BACKGROUND: This Grade II listed country house hotel is near Cranborne, Dorset (15 miles from Bournemouth Airport) and set in stunning grounds. Recently remodelled, it has nine individually designed and furnished guestrooms. THE ROOM: On the second floor, it’s nicely designed and decorated with white and cream colours complemented by dark wood furniture and red seats. It featured a superbly comfortable super king-sized bed, desk, and a seating area with sofa, two armchairs and a coffee table in front of a fireplace. 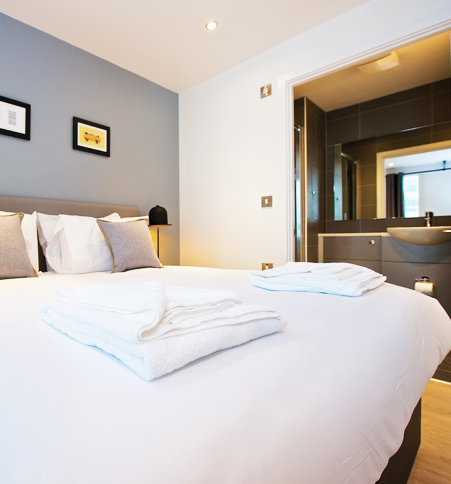 Amenities included hot drink-making facilities, iPod docking station, DAB radio and Smart TV. The stunning marble-clad en-suite bathroom came with Temple Spa toiletries. KEY FACILITIES: Complimentary wifi is throughout the property. Activities like wine tasting, game shooting and screenings can be arranged. There are plans for a spa to be opened. RESTAURANTS/BARS: There are two bars, a billiards room and various lounges, including one outside, each with a unique atmosphere and design. The elegant restaurant also offered a ‘tasting room’ where guests can sit and watch the chefs at work. The food is all locally sourced including from a vegetable garden within the grounds. Fresh from a complete refurbishment earlier this year, The Westin Copley Square is a stylish and comfortable, well-located hotel with a strong focus on guest wellbeing. Friendly staff and many little touches give this large hotel a more boutique personal feel than most its size. THE BACKGROUND: Managed by the Marriott Group, the hotel has 830 rooms (including 143 suites) over 36 floors - all of which have been recently refurbished. It positions itself as the friend of the frequent traveller with touches designed to create a home-from-home lifestyle. THE CHECK-IN: Entrance to the hotel is at street level with check-in one floor up in the lobby. The staff were friendly, efficient and full of local tips for a good stay. The check-in was quick and smooth. Mobile check-in is also available pre-arrival. THE ROOM: My Club Access room was large and comfortable with picture windows over- looking the city to the Charles River beyond. Grey and purple tones and photos within the décor have been chosen to reflect the local parks and scenes of the area. The Westin Heavenly king sized bed was heavenly and the seating and desk area roomy and well positioned. The compact but well-equipped bathrooms featured large walk-in power shower. KEY FACILITIES: There’s free wifi, a business centre and Club Lounge. The hotel prides itself on being wellbeing and offers free guided runs, yoga classes and an extensive gym with peloton exercise bike. RESTAURANTS/BARS: Traditional Brazilian steakhouse restaurant, Fogo de Chão, and Bar 10 off the lobby for beers, cocktails and American fayre. RATES: From $514 per night. Three blocks south of the National Mall, Hyatt House is an excellent alternative to the hotels in the Penn Quarter and Du Pont Circle areas. It’s a chic-modern hotel with great restaurants on its doorstep (although the hotel will also do a ‘grocery run’ for you). Super comfortable and quiet, the views from guest rooms are some of the best in the city. The downside? Perhaps the $35 per day parking rate. 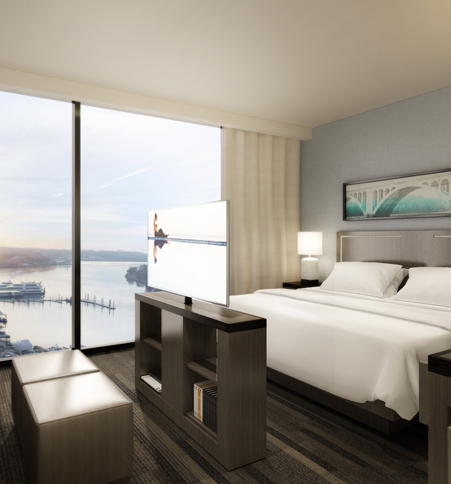 THE BACKGROUND: This apartment hotel of 237 studio rooms is located on The Wharf, a one-mile-long stretch being developed next to the Potomac river. Also on The Wharf is a Canopy by Hilton, Intercontinental, upmarket restaurants, bars, a music venue and outdoor stage. THE CHECK-IN: Confusing at first as signage near the hotel isn’t the clearest, but the welcome was warm and smiley and the registration process swift. THE ROOM: My Executive corner room (903) on the top (ninth) floor was enormous. It opened into a small kitchen area with a hob, dishwater, fridge-freezer and coffee-maker, and led into a dining room with a work table, sofa-bed, chairs and a large TV. The biggest wow factor is reserved for the bedroom, with its king-size bed, chairs, couch and huge windows with magnificent views of The Wharf’s marina, Potomac and distant Thomas Jefferson memorial. KEY FACILITIES: Wifi and breakfast (featuring a range of fruits, cooked items and an omelette station) is included in the nightly rate – which is unusual for hotels in the city. There’s a small workout room and rooftop pool. A pier on The Wharf right in front of the hotel rents kayaks, boats and paddleboards, while the Washington Nationals’ baseball stadium, several monuments and Smithsonian museums are a short walk away. RATES: Rates from $200 a night, on a B&B basis. This stunning boutique property is a welcome retreat from bustling Galle. Its central location and access to the ramparts makes it the perfect base from which to explore. With historical architecture and modern comforts, each room has its own personality. The dining is excellent and the romantic colonial decor makes it great for couples. 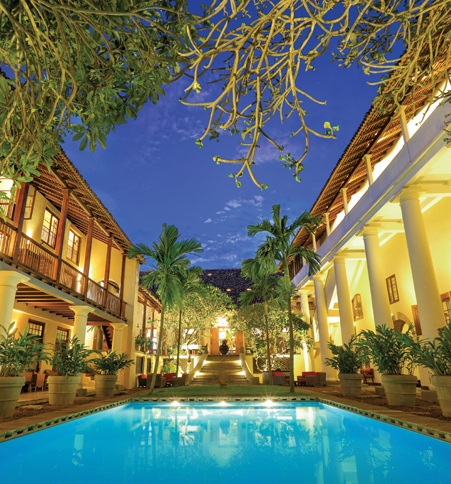 THE LOCATION: At the heart of the UNESCO-listed Galle Fort on Sri Lanka’s south coast, its location makes exploring the ramparts and streets on foot easy. Originally a Dutch mansion and warehouse, it retains much of its original façade. THE CHECK-IN: Entering through the large 18th century doors into the open, airy reception evoked real wow factor. I awaited my key with a cool drink in the atmospheric pillared courtyard, before being given a brief tour of the amenities. THE ROOM: I stayed in the luxurious Porcelain Suite which features walls adorned with 19th century blue-and-white porcelain plates and is filled with other authentic antiques. The room has high-vaulted ceilings and a four-poster bed. Double doors go through to a dressing room and bathroom with toilet, shower and sink. There’s a minibar, but no television, although wifi is found throughout the hotel. KEY FACILITIES: This is one of the few hotels within the fort which has its own pool, out in the central courtyard. There’s also a bar and a restaurant serving abundant fresh seafood. The hotel advises guests on attractions, spa facilities and walking routes. RATES: The Porcelain Suite starts from US$350 a night. Garden Suites are much cheaper. 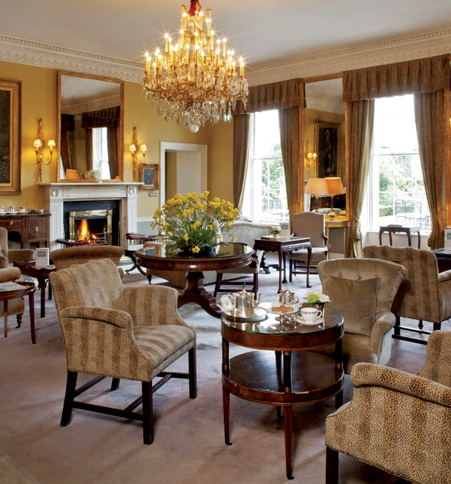 The Merrion manages to be dignified and stately without ever feeling too formal. It wears its long history with ease and has a gravitas that is obvious the moment you enter the hotel. Take tea in the Drawing Room or enjoy a top wine in the ‘underground’ Cellar Bar. The Garden Room restaurant is superb – try the Irish oysters, organic salmon and crab linguini. THE BACKGROUND: The Main House of the Merrion is formed from a collection of four listed Georgian townhouses, whilst the newer Garden Wing overlooks two immaculate private gardens.This five-star hotel, Dublin’s most luxurious, seamlessly blends classical and modern. Whilst the exterior is stately but simple, inside the hotel is elegant and comfortable – a place to sit back, read the papers and relax. THE LOCATION: The Merrion is centrally located, opposite Government Buildings and close to the National Gallery and the popular Baggot and Grafton Streets. THE ROOM: My spacious Junior Suite looked down on the hotel’s private gardens. It was brimming with Irish fabrics and period-style furniture, with a king-size bed, sofa, two armchairs, a writing desk, coffee table, an Nespresso machine and a fully-stocked mini-bar. A large bathroom featured Italian Carrera marble, and a separate bath tub and shower. KEY FACILITIES: A unique feature of the hotel is the antiques and various artworks scattered throughout. Guest can take a 45-minute audio tour of the artworks, the largest private collection in Ireland. The Tethra Spa has a 60-ft infinity pool, treatment rooms and a gym. RESTAURANTS AND BARS: The Restaurant Patrick Guilbaud is Ireland’s only two-Michelin-starred restaurant. The newer Garden Room Restaurant, overlooking the gardens, offers a range of seasonal Irish-themed fare using local ingredients. In the summer, light meals are available from the Garden Terrace. The cosy No.23 bar is off the main Drawing Room, while the Cellar Bar, set in an original 18th century wine vault, has a gastro-pub style menu. RATES: A Junior Suite is from £810 a night (add €29 for a full Irish breakfast). This large, welcoming property is the perfect retreat for those exploring the lesser-trodden east coast. The bay views are stunning and the beach itself is remote and peaceful, with guests very unlikely to be hassled when out relaxing. It’s easy to go out jet skiing, kayaking or windsurfing or to plan excursions to see local attractions. Perfect for families but suitable for all. THE LOCATION: Located on Sri Lanka’s east coast, Uga Bay actually sits on the bay of Passekudah and its semi-circle design ensures ocean views from all 46 studios. Though not close to any town, the area offers terrific views, clear seas and clean sandy beaches, plus most amenities are available within the resort. THE CHECK-IN: I was greeted in the hotel drive, where staff took my luggage aside and I was offered a welcome drink. Upon entering the resort, guests can peek through a circular feature which offers a tempting sneak preview of the resort’s infinity pool and the sea beyond. Check in was a simple process, I filled out a form in the lounge and was handed my room keys before being escorted there. THE ROOM: My 540 sq-foot Ocean Studio was on the upper level of the building, providing the best views. It was light, airy, clean and comfortably furnished with a king size bed, flat-screen TV, desk, iPod docking station, safe, complimentary wifi, outdoor balcony and a separate bathroom with a shower. There 44 studio -with Beach Studios on the ground floor offering direct access to the sand and Ocean Studios upstairs, with step access only. There are also suites and two villas. KEY FACILITIES: There are two spa suites offering a range of therapies including massages and facial treatments and an on-site gym. The hotel also has a games and family room with a selection of books and DVDs to borrow. Water sports and diving are available for an extra fee. RESTAURANTS AND BARS: Guests can dine in the public restaurant or choose to have dinner in their room. The main bar and restaurant area has inside and outside seating and combines a Mediterranean vibe with a traditional Sri Lankan feel. Glass walls lend ample light to this comfortable dining space where guests can try various international dishes alongside traditional Sri Lankan fare and fresh locally caught fish. RATES: A double Ocean Studio is priced from $311 a night (low season from September 16 up to December). Prices do vary and suites or villas are more expensive. You can feel Versace’s presence as you enter the grand reception, where Gianni’s original design drawings hang above the beautiful Italian marble mosaic flooring. Orchids, bred exclusively for the hotel, are everywhere and give off a calming aroma. This Neoclassical masterpiece is in a fabulous location and has all the luxury and glamour you’d expect – but a sense of tranquility too. THE BACKGROUND: Donatella Versace-designed, the hotel opened in November 2016. The property has 150 rooms and 65 suites. THE LOCATION: In the heart of Culture Village, adjacent to the business and entertainment districts, a few minutes from Dubai Airport and a 10-minute drive from Dubai Mall and The Burj Khalifa. THE ROOM: My spacious Grand Suite oozed opulence, with beautiful peach silk Versace-designed bedding, matching furniture including plush peach sofas against dark wooden floors, perfectly placed cushions and a striking bed, which was the most comfortable I’ve ever slept in. There was a butler service, two 42-inch TVs, a Nespresso coffee maker, Versace amenities and wifi. I particularly loved the Jacuzzi bath and rain shower. KEY FACILITIES: An award-winning spa and three pools: an infinity pool with views over the Dubai Creek, a kids pool with a lovely sandy play area and an adults-only pool – all with fantastic staff on-hand. RESTAURANTS AND BARS: Italian-themed Vanitas had a range of expertly-curated dishes. I also tried Persian Enigma, headed by a two-star Michelin Chef from Iran. Fantastic food can also be had at Giardino. Q’s Bar offers a living room-style experience for live entertainment – next generation talent all selected by music legend Quincy Jones. You’re certainly never stuck for something to do as the hotel provides complimentary transfers to Dubai Mall, Festival City Mall, Dubai Parks & Resorts, Laguna Mer and Nikki Beach. RATES: If Only... offers three nights in a deluxe city view, half-board from £1,135pp, with flights. THE DETAILS: A: P.O. Box 128431, Dubai, UAE. W: palazzoversace.ae T: +971 4 556 8888. This distinctive boutique hotel is set on an historic site just a short walk from the heart of Guernsey’s capital St Peter’s Port. Every room is individually furnished with lots of character and the public rooms have a dramatic style. The terrace and pool create a quiet oasis looking out to the sea and the location makes it a great base from which to explore the island. THE BACKGROUND: There is thought to have been a hotel on this site since the early 1800s. The Duke of Richmond was a Master of Ordnance who commissioned a famous early map of Guernsey (1769). The property was taken over by Red Carnation Hotels in 2011 since then it has had a complete refurbishment. THE LOCATION: Set in a quiet residential area, seven minutes walk from the heart of St Peter Port – Guernsey’s capital, and close to attractive gardens and key island attractions. THE CHECK-IN: A warm friendly welcome included the option of a welcome drink. The check in process was quick and easy. THE ROOM: : My ‘Classic Double Room’ was one of 73 individually-decorated guest rooms with a distinctive style of lavish drapes, fabric clad walls and a decorative head board. While compact, it included a queen double bed, small seating area and desk/dressing table. The small en suite included bath with good power shower over it and luxury toiletries. The room came with complimentary mineral water, tea and coffee making facilities, hairdryer, safe, and wifi. KEY FACILITIES: This boutique hotel has a striking décor with a bold black and white check flooring and dramatic animal print furnishings. The heart of the hotel is the Leopard Bar and Restaurant and adjoining open air terrace. There is a swimming pool with cabanas and sunbeds, and also a guest lounge full of bold furnishings. Families and dogs are welcome and there is parking available. The hotel has a sister property, The Old Government House Hotel, a short stroll away, offering guests additional lounge and bar facilities and a spa, all created from the original 18th century Old Crown Offices. RESTAURANTS AND BARS: Dining is in the Leopard Bar and Restaurant, a light and airy conservatory-style dining room leading to the wide open-air terrace, on the first floor. As the weather was fine during my stay I ate on the terrace looking out over the Candie Gardens and down to the port and sea beyond. The swimming pool is accessed via a spiral staircase from here and provided a walled sun trap. Barefoot luxury is one of those terms that’s bandied about a lot but this place truly embodies just that. From the moment you step off the boat, welcomed by a long line of smiling staff, including chefs in their white hats, you feel special. The resort is lush, the rooms are comfortable and cosy and the food great. Koh Samet is only three hours from Bangkok and, unlike many Thai islands, has retained its small island charm. THE BACKGROUND: Samet Resorts owns seven properties on Koh Samet and this five-star villa resort is its most luxurious. THE LOCATION: The south of the island, a 20-minute drive from the main town of Si Khao in the north, which effectively makes it an exclusive beach, and on a beautiful beach of fine white sand. THE CHECK-IN: This is done at the mainland office on Jadet Pier. Cold towels and drinks are distributed as guests are asked to select their preferences for room scent, soap and a choice of red, white or sparkling wine for their complimentary bottle. I went for lemongrass and red! THE ROOM: My Garden Villa reminds me of a Mexican hacienda, with heavy wooden doors opening onto a terrace with a covered seating area and two large sun loungers. Inside the walls are a warm, distressed yellow with natural accents in wood, wicker and bronze. There is a small anteroom with a sofa seat and then an archway leads through to the bedroom which has a large muslin-draped four-poster bed, table and chairs and day bed. The bathroom has a huge sunken bath, and outside rainforest shower (lovely unless, like me, you’re terrified of mosquitos and need to shower after dark). I shared a lap pool with six others but other room categories have their own plunge pool. KEY FACILITIES: A spa with four treatment rooms and themed around the four elements, a breezy book-lined library and air-conditioned fitness centre. The 20-metre infinity pool is set above the beach at the heart of the resort. RESTAURANTS AND BARS: The main restaurant is housed in an open-sided Thai-style sala which encourages cool breezes instead of chilly air-con. I enjoyed the international breakfast buffet here but ate dinner on the beach – a barbeque of fresh seafood cooked in front of me. There is also a pool bar and the lovely sunset bar on the other side of the island, less than a ten minute walk, on a raised wooden deck overlooking a rocky bay and serving great cocktails. Located in one of Boston’s hippest neighbourhoods, this ultra-comfortable hotel has classy and attentive staff – from the bell hops to the room cleaners – who go out of their way to preserve the hotel’s reputation for service. It’s also reasonably priced throughout – $13 for a cocktail in one of Boston’s top hotels is a steal! My whole experience here was top-drawer. THE LOCATION: In the central Back Bay neighbourhood, the 11-storey, 214-room red brick hotel has been peering down on Boyleston Street since 1900. Boston Common and the boutiques and galleries of Newbury Street are close-by. THE CHECK-IN: I was warmly welcomed by door staff who had my bag into the lobby before I had settled the taxi fare. The reception, with its chandeliers and Turkish-looking carpets, is offset to the right of a busy area flanked by a bar and a restaurant. It is both historic – with quirky features like a working mailbox from the early 1900s – and super-stylish, although a little on the dark side thanks to its caramel tiled floor and brown wooden features. THE ROOM: My 450 sq-ft Junior Suite was chic and stylish, with two queen beds, a 55-inch TV, couch, Bluetooth stereo system, a crystal chandelier and lamps and an iron-caste lobby with a working fireplace (the staff will light it for you). The large marble bathroom had eco-friendly Beekman amenities. RESTAURANTS AND BARS: City Table is a popular spot for breakfast and dinner; a lively pub, Solas, serves beers, spirits and pub grub for pre-game baseball crowds heading to nearby Fenway Park; and the upmarket City Bar has a table menu and a list of classic cocktails. The hotel has a three-star rating only because it has no lifts. St-Omer’s bars and restaurants serving Flemish-style cuisine are close by, as are boat trips on the Audomarois marshes. It also makes a relaxing rural stopover for travellers enroute to Champagne or Paris using the Eurotunnel. This is value accommodation in a historic building in beautiful grounds. THE BACKGROUND: The impressive Château Tilques was built in neo-Flemish style in 1891 on the site of a 17th-century fortified manor house. It has the remains of a moat, which is now a lake, and extensive grounds, with dovecotes, peacocks and modern sculpture. It is owned by the Najeti group, which has eight hotels and three golf courses, mainly in northern France. THE LOCATION: Set in the countryside about seven kilometres from the market town of St-Omer, In the Pas-de-Calais region. It’s about 40 minutes’ drive from the Eurotunnel terminal at Calais. THE ROOM: We had a large corner room in the Pavillon du Parc annexe, with lovely lake and garden views from the balcony. The room is furnished in a modern style and is ideal for a family, due to an extra bedroom upstairs. KEY FACILITIES: There’s a 15-metre swimming pool, with kids’ paddling pool, in an annexe in the grounds. There is also a hard-surface tennis court, and a giant chess set. RESTAURANTS/BARS: The Bar and Lounge are three comfortable connecting rooms with ornate French period furniture, dark oak panelling and lawn views. The restaurant is a light, airy conversion of the old stable block and its signature ‘filet de boeuf’ is cooked to your taste over an open fire. RATES: €136 to €190 per room per night (€16 extra for breakfast), but there is a flexible pricing system.